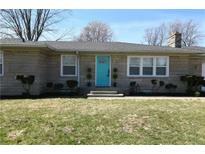 Below you can view all the homes for sale in the Colorado Hills subdivision located in Indianapolis Indiana. Listings in Colorado Hills are updated daily from data we receive from the Indianapolis multiple listing service. To learn more about any of these homes or to receive custom notifications when a new property is listed for sale in Colorado Hills, give us a call at 317-434-3322. 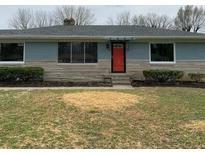 Built in 1959, the home has a fireplace in the basement and an attached garage, Home sits on over a half acre with a completely remodeled basement. MLS#21628722. Home Care Realty. All of this on almost half an acre of land in a super convenient location in Washington Township. Schedule your showing today! MLS#21629039. F.C. Tucker Company.